I’m thinking you are familiar with the Guess how much I love you? books. Heart-warming does not even cover it. I love the simple but timeless message of Guess how much I love you? 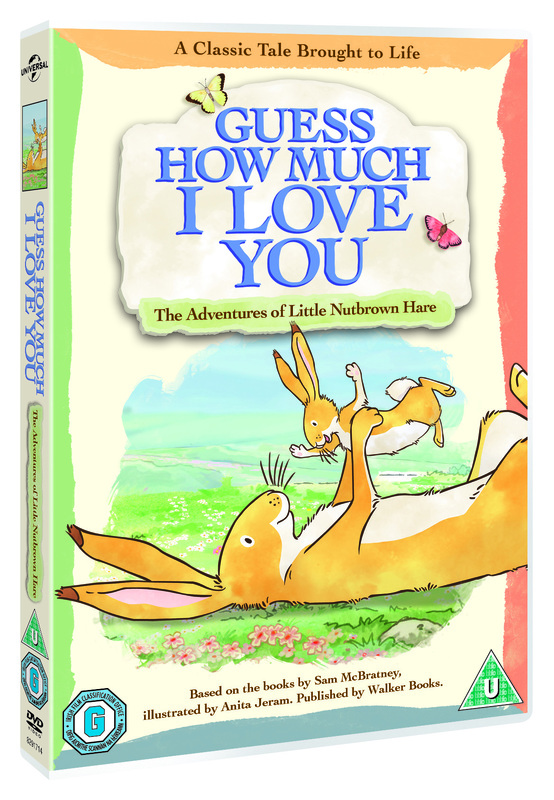 Little Nutbrown Hare and Big Nutbrown Hare come to life on DVD in a series of charming adventures just in time for Christmas. I have 2 of the dvds up for grabs. I will select the 2 winners (1 dvd) each at random. This competition is open to UK residents aged 18 years and over. The closing date for entries is midnight on 10th December 2012. Gosh, that would be fab! My daughter is starting to say “I love you to….”, her latest is “to the sun and back”. She would completely love one of these DVDs! I was not aware that there was a DVD of this!! how fab! Oh, I so want to watch this! would love this read the books never realised there was a dvd email me please and tell me i won it my childrens day. This would be perfect for my little princess who loves the story! I would love to give this to my two gorgeous grandchildren. It’s definitely something special and they deserve something special. My son loves the book version – great comp! Would love to win this for my little boys as we love the book!